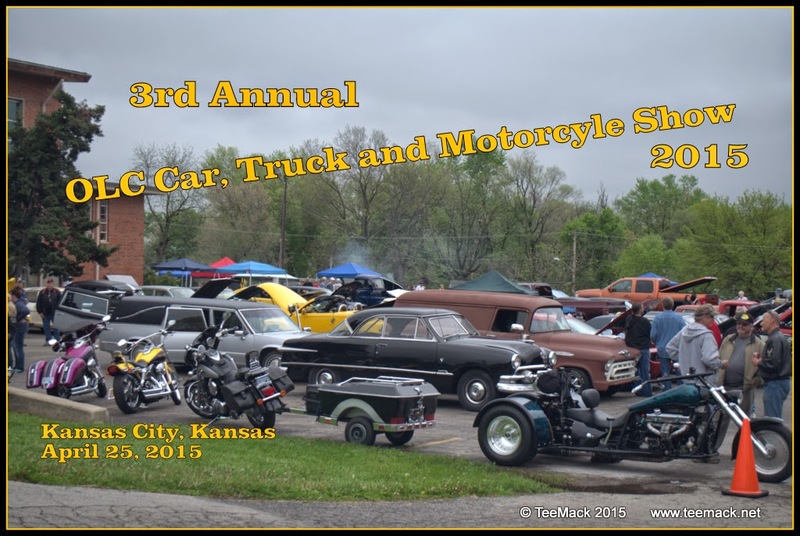 The 3rd annual OLU car, truck and bike show was held on the grounds of the OLU school in Kansas City, Kansas on April 25, 2015. The benefit was to raise funds for the school activities. Approximately 50 vehicles were on display at the annual event. The low turn out was do to rain and drizzle during most of the show. Music was provided by "For One Only KC" and the "Route 66 Ban". There was plenty to see from the Antique Cars, Hot Rods, Rat Rods, and Custom Motorcycles at the event. Click here to view photos of the event.